Sounds rather like Havas’ tie-up with NewsCred but let them explain. 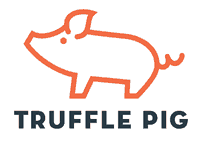 Alexander Jutkowitz from Group SJR is Truffle Pig’s CEO. Truffle Pig will launch in the US with HQ in New York and also use Snapchat’s 3V video production space in Los Angeles. So does all this mean a lot or not very much? Another rabbit pulled from the Cannes hat to divert the hordes on La Croisette? Snapchat’s Spiegel probably hits the nail on head with his reference to “mobile video content.” Ads are migrating to mobile like there’s no tomorrow but there’s precious little evidence that mobile users have much time for them, personalised or not. All this stuff about “newsrooms” and “story-driven marketing” really means the search for more engaging mobile content.